I don't think there is any real bug (just that windows PC and mac are handling the "power" in USB connection differently) with OT-S853 and MAC OS X as described by Pelikan. The same problem (the disk reappears after trying disconnect/unmount) also occur with OT-E801 - it possible to disconnect/unmount the phone without any problems as long you disconnect the usb cable on the same time as you eject the phone/disk in MAC OS X. remember to close all windows of finder and close programs like iPhoto which are reading the phone/disk. yan, I admit I was wrong when I say it. 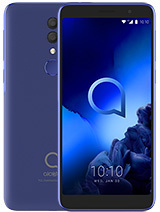 But I am just referring to page 76 of the manual and not considering that Alcatel is modifying the unit to be able to support 1GB of mini sd card. My apology. There's a wee bug occures while i connect my OT853+1Gb miniSD to Mac (MacOS X 10.4.8 PPC) thru USB. When i unmount alcatel disk in OS X, it mounts again immediately by itself! yo what the hell you talking about guys? Nelson, you explained it perfectly... as long as the warranty is still intact the phone can updated for free and licensed service centers! But you are wrong about the SD cards, the older versions of the phone do not support 1GB cards, and so they will not read the card correctly or not at all... there is no risk of actually destroying the phone though... the newer firmware versions do support and read the 1GB cards. Dope: What firmware versions were uploaded to your phone those times you had it updated? As you issues sound firmware related. 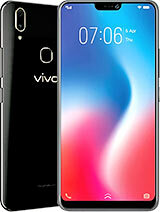 Also the battery life can be limited if you have not fully charged the battery according the user manual the first couple of times... meaning, charging the phone in a completely switched of state. Reason for this instruction is that if you do not do that the first times (now it won't help you) is that the battery calibrates itself properly like that... and if you fail to do so the performance will be dissapointing. Proves that instruction manuals are not included in the package for no reason... a pity that not all people take the time to read them. Lady: Would you mind opening up your phone and looking on the sticker at the back and see what it says, completely? Also in what country do you live? Tell me so I can provide you with contact details to your nearest Service Center where you can fix and update your phone for free, assuming your warranty is still intact! as i access the dictionary it always hangs i try to switch it off but it wouldnt turn off so i have to open the back and open the baterry compartment so it would turn off but still i cant send and recieve sms you said it right it might be the dictionary but is there any other way to update the firmware as you've said before can i do it online using the unit it self(ot-s853) or i have to go and find somewhere where i can update the firmware can i bring my phone to greenhills sanjuan where im near residing and also from my work are there some available software upgrading stands there? i neither am a heavy texter nor a heavy caller but still the battery life became shorter. of the box, it delivered upto 2 days, not quite impressive but good enough. a few months after, i had to charge the phone after every call.frequently hangs.open a text message seems to be such a big task for this phone. good sound quality,given its "2.1 surround speakers", but that aint enough for a phone to be called a phone. software updates didn't help at all,had new software loaded twice from a legit retailer,nuthin happened. better stick with phones from known and dependent brand. 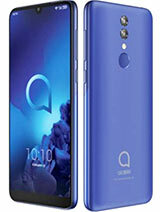 but it looks so lame , alcatels are outta competing with other companys like nokia,SE,motorola,Samsung and even Lg which is growing fast and took over siemens market share. 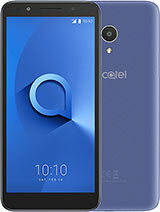 alcatel must reconsider their solutions and provide more functional phones instead of these lame models which will not make any profit to such nice company. Another thing,edreab, is: this phone does not support 1 GB mini SD card (I am not sure if it support in the latest firmware. Let's hear from Knight Rider). Do not insert 1GB mini sd card to your phone or your phone will be destroyed. It's just like a man with a capacity of carrying 30 kilos of rice and you put 50 kilos (1 sack) in his shoulder. Again, this phone does not support 1 GB and that's the reason why this being sold with 256 MB mini sd card. edreab, I think I have to answer your problem (but still Knight Rider is our main person here)as I am also living here in our beloved country, the Philippines. The fact that you purchased your phone two weeks ago does not necessarily mean that your phone have the latest firmware version. It may contain version 169 but have just bought it two weeks ago. Take your phone to Versatile Telecom (if you're residing in Manila) and ask them to load it up with the latest firmware version. Just make sure to present to them your Official Receipt showing that you purchased the phone for less than a year and your phone will be updated for free. If it is more than one year they will still upgrade it but you will be charged. 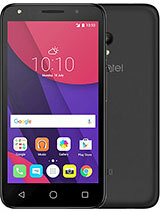 Anyway, Versatile Telecom is Alcatel's exclusive distributor here in the Philippines and RC GOLDLINE is one of their co-distributor too. If you're living outside Manila, you can opt to have your phone upgraded in RC Goldline and it is still for free if you can present to them the official receipt of the phone proving it is purchased less than a year from now. That's all I can give you. Knight Rider may still have more for you. bought my ot s853 2 weeks ago here in the philippines, notice the following problems: 1GB SD reads only 296 space, Blutooth wont connect with any devices, frequently hangs and auto off and on, battery wont last for 2 days with only normal use. read with some other opinions that i need to upgrade the firmware version, anybody knows where can i download the latest version (of course for free) or any advise to fix the problems. Like Nelson already said backing me up, the phone does have zoom... the west European one anyway. Try choosing the English language as a the default language and check if there is a zoom now? Underground, it sounds like a compatibility problem with your available office software... try updating your software or try a different synchronizer that is compatible with the S853, like the one found on http://www.mobtime.com/en/. If you can not send SMS messages or receive them, delete the SMS memory box... delete your inbox, outbox and delete your archived messages that should take care of the problem! Pelikan: it is not possible to charge the phone through USB via PC, it was originally conceptualized for this phone but in the end the feature was dropped. 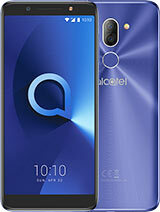 The new Alcatel range like E801 (entry level mp3 prepaid phone) does support USB charging. I wonder if its possible to charge phone from computer usb port. When it connected, there is no battery charge animation going. 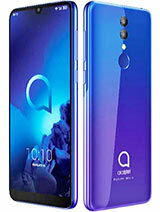 i have my ot s853 last august at 1st its okey no problem i find it very stylish and above from any phone i had before but now im having problem sending and receiving my sms to my friends "unable to send this message memory full" what pops up from the outbox screen i already deleted some pix and video both my phone memory and memory card what should i do. the incoming and outgoing calls are okey. please help. While doing a synchro of the contacts with the PC... the PC shows "Initializing" and the Phone shows "Please wait"... after a few seconds, the phone turns into the main screen and the PC pops a message: "Synchronization failed"... Do anyone know what's happening? Any ideas? P.S. : KnightRider, I sent you a mail with my firmware version. Thanks a lot.